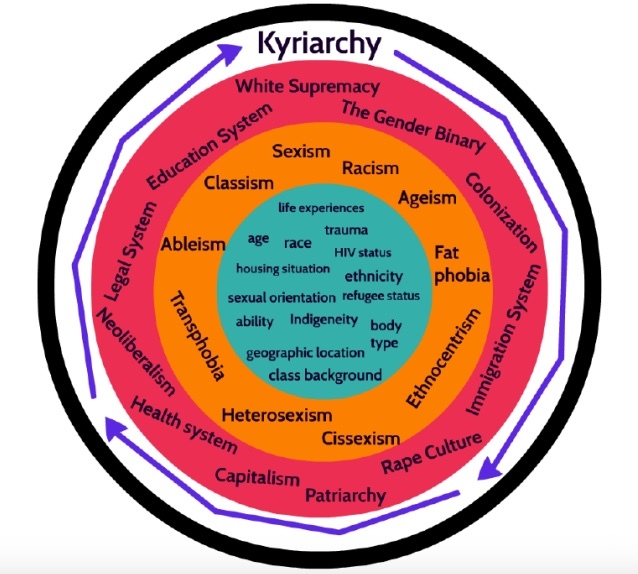 Leftist critiques of identity politics, intersectionality and privilege theory are nothing new, but Asad Haider’s Mistaken Identity: Race and Class in the Age of Trump (2018) is significant because it offers an accessible and optimistic intervention that suggests battling white supremacy is an essential part of a universalist socialist program. 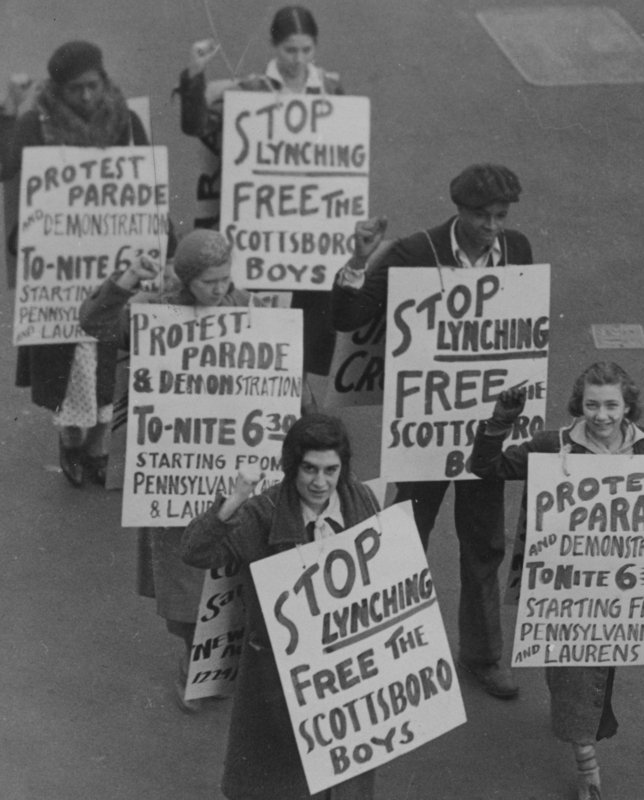 The book relies on a genealogical approach to outline how the term “identity politics” has strayed from its origins in militant Black struggle to naturalize the power of racialized elites, entrench state power, and individualize social struggles. This history provides a convincing argument against liberalism, but includes gaps that weaken an argument for insurgent universalism: notably, by lacking any meaningful anti-colonial analysis, and by relying on an idealist treatment of race power. While Haider does not promote orthodox class reductionism per se, in failing to address the social relations between settlers (working-class and capitalist alike) and Indigenous peoples, he mistakenly suggests that anti-capitalist struggle is enough to form the basis of a universalist program. The tendency to fold Indigenous people into the working class is a classic form of class reductionism that ignores Indigenous nations’ unique ontological and economic relations to their lands, which position them as barriers to capitalist accumulation rather than a labour source, and assumes that the end of capitalism would automatically signal the end of colonialism as well. Haider’s arguments about the relationship between race and class are inconsistent. He repeatedly calls for historical specificity but also relies on generalized conclusions cherry-picked from the work of various theorists across time and space, which at times makes his arguments difficult to follow. His opening insistence that “race, gender, and class name entirely different social relations [emphasis added]” suggests that class is not co-constitutive of race and gender, which is the same theoretical starting point that leads to the dismissal of identity struggles as secondary to the universality of class. The logical extension of this analysis centres white workers as the object of anti-racist struggle, with the hope that white workers will voluntarily overcome racism, because it is a trick played on them by the capitalist class. While Haider is critical of such orthodox class reductionism, by dwelling on leftist discussions of race, rather than the historical production of race, he fails to offer a solid alternative that does not risk slipping into idealism. Anyone looking for a socialist critique of identity politics that slams its contemporary reliance on liberalism will find Mistaken Identity satisfying, but those of us seeking to identify what the foundations of universal liberation might look like today will have to search elsewhere. The phrase “identity politics” carries a dismissive air across the political spectrum: liberals critique the organizing cultures it gives rise to, particularly call-out culture, while conservatives complain about political correctness and freedom of speech. Haider offers a socialist critique that investigates cultural expressions of identity politics as well as its analytical framework. He defines 21st century identity politics as “the neutralization of movements against racial oppression” and argues it excises the socialist roots and appropriates the legacies of anti-racist and Black liberation struggles in the service of “political and economic elites.” Such a framework usefully exposes the ways in which the demands of identity politics dovetail with and entrench state power. Haider argues that liberal iterations of identity politics are best understood as responses to the defeats of revolutionary movements of the ‘60s and ‘70s, which have been exacerbated by decades of neoliberal assault on poor and working class lives. His narrative goes like this: in the ’60s and ’70s, the United States was teeming with revolutionary movements and the prospect of total systemic overthrow felt possible. But the rise of Reagan in the U.S. and Thatcher in the U.K. marked the defeat of those social movements. The material changes they sought to make failed, while their cultural languages were picked up and appropriated by politicians seeking to serve capitalist class interests. Today, in addition to the struggles that neoliberal policies exacerbate—homelessness, joblessness, poverty, etc—people feel hopeless and pessimistic; they retreat into identity politics that validate their experiences of oppression, which at the same time lock them in to narrow appeals for representation and recognition within and by the bourgeois state apparatus. “Racial Ideology” concludes with references to Judith Butler’s theory of “passionate attachment” to power, and then suggests that understanding “the specific form of passionate attachment to racial identity” requires us “to pass into the nebulous terrain of the unconscious.” It is difficult to make a materialist argument while remaining in the nebulous terrain of the unconscious, although Haider repeatedly invokes the need for material and historical explanations. His attendance to the realm of individual psychology, ideology, and organizing cultures makes a convincing case for the failures of ignoring race or treating it solely as a condition of identity, but his virtuosic tendency to leapfrog across historical moments while peppering the text with quotations from various thinkers to arrive at generalized conclusions feels frustratingly amaterial and ahistorical. To be fair, the book openly states that it is not offering the “program, strategy, and tactics” of insurgent univeralism, but it’s not so much the scope of the book as Haider’s erratic historical and methodological gestures, that obscure the path ahead. What Haider leaves out in his chapter on labour politics under Thatcher is any explanation as to why white workers reach to race power during times of economic crises. Stuart Hall was there in 1978, theorizing a politics that fights racism and capitalism simultaneously—so why didn’t the left take on such a program? If the problem is one of false consciousness—white workers failing to understand that mobilizing race provides them immediate gains at the expense of liberation for all—then the treatment is ideological intervention: in Haider’s words, “alternative visions, languages, and practices” that fight right-wing populism without relying on liberal pluralism. But the bulk of this chapter is a summary of Hall’s analysis of the left’s defeat in this moment, rather than an explanation as to what the material barriers were to a unified struggle. Even while summarizing Stuart Hall’s work, Haider seems attached to the idea that race is a capitalist “instrument of division”, rather than a material reality that white workers not only internalize by identifying with whiteness, but wield as power over racialized workers. The central opponents to cross-racial working class unity, in Haider’s analysis, was anti-Black ideology and Margaret Thatcher, rather than white workers themselves. He may be rhetorically against idealist theories of racism, and gestures toward the possibility of “potential forms of political activity with general relevance for the working class as a whole”, but ends the chapter with yet another emphasis on leftist melancholy, framing universalism as difficult for people to accept not because it would force them to confront the ways in which they benefit, even as exploited or oppressed people, from race, imperial, or colonial power, but because it violates their individual longing for “security and recognition” and feels unachievable. The gestures Haider makes at structural and material power recede behind the very figure that he seeks to dislodge—the injured individual. Haider argues successfully that race is reified by U.S. liberal attempts to address racism, which take as their analytical starting point the category “identity,” rather than the systems that uphold it. He makes the familiar argument that the U.S. ruling class invented the white race to rationalize slavery, and that this ideological structure of whiteness continues to benefit the bourgeoisie by splitting the working class. The obvious implication of such a formation is that the common interest of all members of the working class, irrespective of the short term gains some might receive from white supremacy, is in banding together to overthrow capitalism. But by dwelling on the ideological rather than material production of race, Haider leaves out the relationship between capitalism and colonialism. Without any perspectives or theory from Indigenous Turtle Islanders, he limits his inquiry and conclusions, fixating on capitalist relations to the exclusion of settler-colonial ones. His claim that “as long as racial solidarity among whites is more powerful than class solidarity across races, both capitalism and whiteness will continue to exist” could be true—if we accept that white Americans as a social group are essential to a global struggle against capitalism—but he fails to name or explore the crucial point that eradicating capitalism or white supremacy does not necessarily eradicate colonialism, in this case, because the relationship between settlers and Indigenous nations is related to but not reducible to race. His treatment of white supremacy and the enslavement of Africans similarly leaves out the colonial and imperial character of the slave trade, which required the colonization of Africa by European states and provided the settler-colonial American economy with unfree slave labour. The creation of a Black American identity cannot be extricated from both colonial and imperial accumulation, which shape but certainly cannot be explained by the analytics of identity. Within the context of his failure to address settler colonialism, Haider’s formulation of the relationship of the white working class to white supremacy feels defanged. If we accept that there are short term gains to buying into race for white workers, but in the long term, those gains only entrench their own exploitation, then the remedy must necessarily foreground a revolutionary horizon and the self-activities of racialized and Indigenous people—a political project that promises both an end to capitalist exploitation and the restoration of humanity to all people, whether they benefit from or are oppressed by white supremacy and colonization. Without a firm, upfront commitment to such a revolutionary project, any attempts to combat white supremacy and settler supremacy within the working class rely dangerously on the voluntarism of white workers. Haider’s omission of colonialism as constituent of, but containing different social relations from capitalism, makes his case for racial unity feel more rhetorical than practical. Haider raises the old problem of socialist universalism, asking: how do working class people organize collectively without glossing over race power dynamics? Rather than rely on a 20th century-style class-reductionist critique of identity politics, which would have us subordinate all forms of oppression to a masculinist, Eurocentric understanding of working class unity, Haider turns to the insurgent universalism of the Haitian revolution, which emerged outside of, but in response to, the bourgeois universalism of the French revolution. The problem with Haider’s insurgent universalist image lies in the abstract and contradictory nature of “freedom” in a liberal democracy founded by colonialism, capitalism, and imperialism. 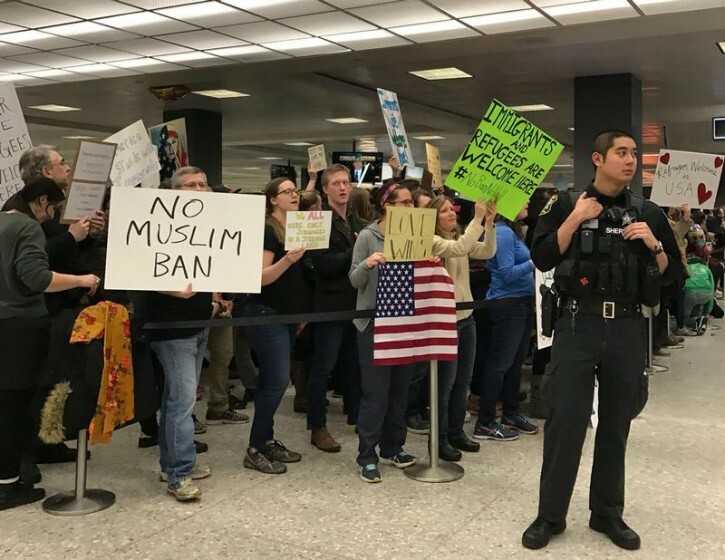 The Field Street Collective’s review of the book points to how Haider’s celebration of the airport protests “cedes the opportunity to unpack the geopolitical complexity of juridical inclusion within an imperial state partially responsible for so much death and displacement across the seven countries affected by the ban.” Haider may declare that universality cannot be abstract, but he does not follow through with his own methodology: he clears away the trap of liberal rights, offers some poetic, metaphysical commentary on immigration and diaspora, and points to the need for an anti-capitalist “mass movement,” without clearly outlining what the challenges to such a movement would be. The egalitarian maxim sounds real nice, but without a material analysis of the contradictions that create our society, a maxim is little more than an idealistic call to buttress our political wills. Any insurgent universalism will have to contend with the material incentives and short term gains that oppressed groups would have to sacrifice in the name of insurgent solidarity, a point that Haider’s chapter on universalism disappointingly fails to address. Without the unifying power of shared benefit—which would have to be set outside the context of our present-day settler-colonial capitalist rule—the foundation of Haider’s insurgent universalism ends up looking like voluntarist white benevolence. The mix of critiques and counter-critiques surrounding Mistaken Identity point to crucial disagreements amongst socialists today over what constitutes class struggle. Without a clear, shared understanding of how class is reproduced in capitalism as a whole, the bases of an insurgent universalism remain murky and ill-defined. 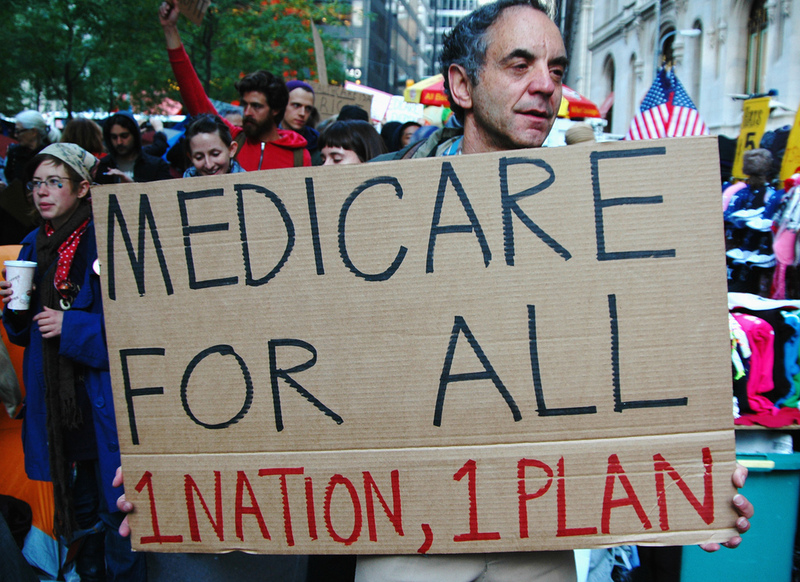 Philadelphia Democratic Socialists of America (DSA) co-chair Melissa Naschek’s critique of Haider identifies the need for a clear program, but reinforces a false dichotomy between “interest group plurality” and mass movements that are predicated on “shared economic demands based on one’s location in the capitalist class structure.” While her article correctly identifies some of Haider’s shortcomings—his lack of specificity and focus on ideology amounts to, in Naschek’s characterization, a belief that a universal program could emerge through “osmosis”—her class-reductionist remedy is no more grounded in a materialist analysis of current conditions than Haider’s is, and comes across as equally vague and rhetorical, not to mention deeply dismissive of Black Power movements. If Naschek relies on an idealistic class-reductionism, than California DSA activists Gong and Blanc, who responded to her piece in defense of Haider, rely on an idealistic call to “do both:” address capitalist exploitation through workplace organizing, and fight racial and social oppressions. But as DSA national political committee member R.L. Stephens points out in his response, the “do both” argument relies on a moral imperative, rather than seeing class struggle as encompassing the entirety of how class is produced and reproduced within capitalism—an outlook that necessary outlines how “social oppressions” such as patriarchy and white supremacy are actually constituent of class. Stephens helpfully clarifies Gong and Blanc’s errors and argues that both Naschek and Gong and Blanc rely on forms of class reductionism that separate out fights that appear “particular” but share a class basis. The question of who is part of a given class has far-reaching political consequences. Stephens shows that if we want our anti-capitalist struggle to include people who are coerced into doing reproductive labour on the basis of their gender, then we must necessarily attend to the role of social reproduction in the reproduction of the working class as a whole. The class reductionist fixation on the workplace excludes portions of the working class who are deemed caregivers or superfluous: elderly and disabled people, women, youth, and the homeless. But where the DSA understanding of the working class meets a clear limit is with Indigenous peoples, who have been and continue to be seen as limits to the expansion of capitalist production, particularly resource extraction, in settler-colonial states. In the case of Canada, this is most obvious in the state’s attempts to do “reconciliation,” which welcomes representation but views Indigenous nations as cultural groups, rather than sovereign nations. The Canadian state can recognize the rights of Indigenous peoples only insomuch as those rights are founded on bourgeois understandings of personhood and do not encroach on capitalist accumulation. For example, the 1990 Supreme Court of Canada decision, R. v. Sparrow, determines how and when the state can infringe on Indigenous rights. The Court affirmed that Indigenous people have a right to access their own territories to fish, but at the same time outlined that those rights can be violated as long as it serves a “valid legislative objective,” compensates Indigenous people, and consults or informs them of the infringement. Within this framework of recognition, all the ways that Indigenous land relations and sovereignty supercede the workings of the capitalist and settler-colonial state are erased or repressed. 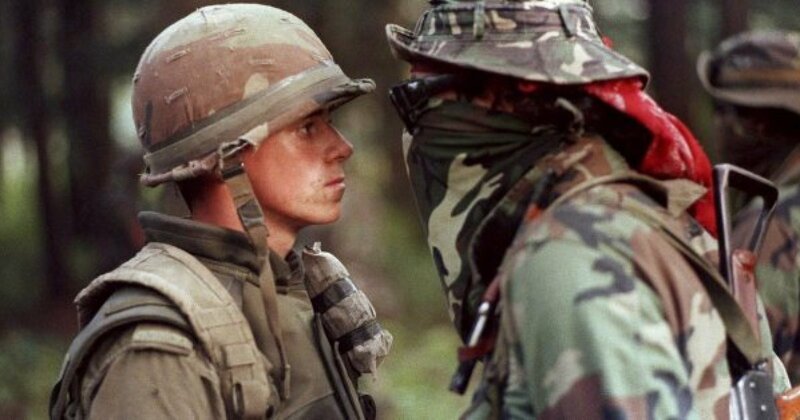 While many Indigenous people in Canada are workers, the unemployment rate for working-age Indigenous people (25-64 years) is twice that of the non-Indigenous population, reflecting Canada’s historical disinterest in folding Indigenous people into the working class, the most violent expression of which is outright genocide. In Patrick Wolfe’s words, “the continuing presence of Indian labor occurs in spite of rather than as a result of the primary tendency of settler-colonial policy [emphasis added]”. While residential schools were framed as a means to assimilate Indigenous children into white settler society, in practice they amounted to total institutions bent on the destruction and eradication of Indigenous people, with institutionalized gender violence targeting Indigenous women, girls, two-spirit, and trans people. In this era of Reconciliation, Canada has merely repackaged its genocidal project in liberal appeals to cultural recognition. 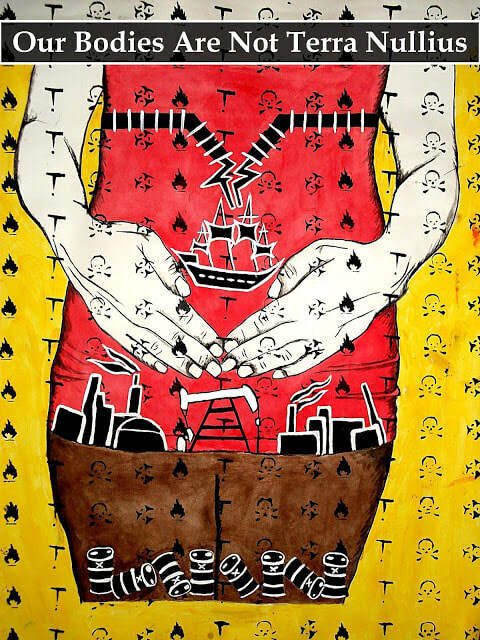 The connections that Indigenous women draw between violence against the land and violence against their bodies, captured in the slogan, “Our bodies are not terra nullius!” highlights how Indigenous economies, ontologies, and resistance have distinct expressions that cannot be folded into working class struggles. So long as capitalism remains hegemonic in settler-colonial states, Indigenous nations and the working class share a common enemy and parallel, co-constitutive, but not mutually reducible struggles. Whereas the working class is created by capitalism through exploitation and will cease to exist when capitalism is eradicated, Indigenous nations existed for thousands of years prior to settler-colonial contact, and will continue to exist after colonialism is eradicated. Articulating how anti-capitalist and anti-colonial struggles relate to one another—in ways that offer both unifications and contradictions—is crucial to an insurgent universalism, and begins with the recognition that the working class, as a social group, is distinct from Indigenous peoples, on the basis of their relationship to capitalist production, settler-colonial occupation, and differing destinies and visions of what liberation entails. The orthodox socialist fixation with the workplace as the primary site of capitalist struggle eclipses anti-colonial analyses that must necessarily confront the settler working class’s ongoing investment and identification with settler-colonialism, and, constitutively, whiteness. Adopting and refining an anti-colonial analysis means we must confront settler working class complicity, and turn to sites of struggle that are outside the factory walls. Without explicitly taking up questions of ontology, Haider’s read of the Haitian model of insurgent universalism is that political subjectivities are not only shaped by social structures, but also by how we act. While each of us has inherited our unearned subjectivity from yesterday, we also each decide how to act with the limited tools at our disposal—and our conscious activity today will make us and our world tomorrow. This is a hopeful message that counters the prescriptive, identity politic approach to subjectivity, which insists that we wear our identities like brands, and privileges abstract individuals in theorizations of how the world is structured. Ultimately, Haider’s optimism is a welcome gesture to the commitment of practicing togetherness, but to ensure that “insurgent universalism” does not slide into the idealism it seeks to counter, we must confront the complexity of mixed interests that capitalism and colonialism tie together, and recognize that only a revolutionary politics—one that seeks to utterly destroy capitalism, colonialism, and imperialism—can ever follow through on the promise of universal liberation. In B.C., for example, an influx of Asian capital to the coast in the 1980s, encouraged by all levels of government, created the opportunity for select Chinese people to enter Canada’s multicultural mosaic and with that, partake in a greater portion of the spoils of Canadian settler-colonialism and imperialism. The narrative that Chinese investors caused the present housing crisis has spawned a wave of anti-Chinese racism that updates historical suspicion and hostility toward China, cleaves a hard line between recent Chinese immigrants and Canadian-born Chinese people who are deeply invested in their precarious belonging to the nation, and demonstrates the fragility of market-driven inclusivity in a white supremacist state.